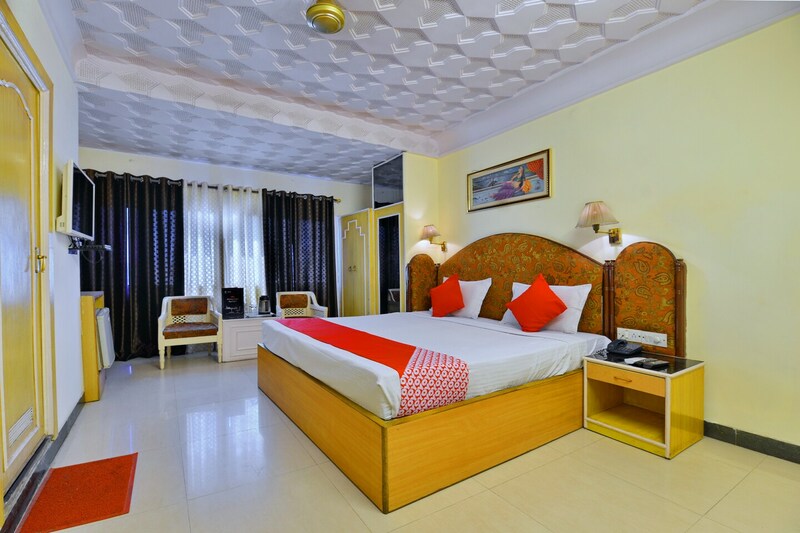 C Scheme is a hotel where the guests can enjoy their trip in the delights of pleasant decors and heavenly surroundings at a pocket-friendly price. The rooms have refined and amazing interiors with designer ceiling, wooden vintage furniture, Medieval paintings adorned on the walls and large windows covered by dual coloured curtains. Spacious and brightly lit, the rooms are well-equipped with amenities that are requires to have a comfortable stay including a mini fridge. The bathrooms are provided with a geyser for winters. The hotel is equipped with facilities such as parking facility, in-house restaurant where delicious meals are served, dining area, conference room, and banquet hall.